We are going to implement some new-to-us things for our history studies this year, and I'm really excited. Never mind that we didn't finish much from last year, or cover nearly what I'd hoped. It's a brand new year, baby! Have you ever seen a century chart? I have heard of them before, when reading about Charlotte Mason and her principles. I never really understood how to use one, though, until the fabulous Kerri Forney taught us how at the Charlotte Mason Institute conference back in June. In a nutshell, you need a 10x10 table. Each square represents one year of your chosen century. As you read about historical events and people, you mark them on your century chart. At the conference, we did a century chart based around Charlotte Mason's life. It's really interesting to record events that occurred in her lifetime, because you get a real feel for the things that shaped the world she lived in. I was amazed at what a great overall picture this gave me for the flow of events. You can use century charts a couple of different ways. As I mentioned above with the chart we did on Charlotte Mason, you can do a biographical chart. We started the CM chart a few years prior to her birth, and then began adding events. We added Beatrix Potter, because she lived near Miss Mason in England, and it would be fun to know if they had ever met. We added World War I - I never connected the fact that she lived during WWI, even though it seems obvious now! Another way you can use a century chart is simply for the time period you're covering. This year, we are going to study the Renaissance and the Reformation, roughly the 1400's through the 1600's. I plan to have my girls make century charts for each century we cover. You can see that you'll need to use small handwriting (or you could have them do it on the computer). I am really, really excited about using this with my children this year. It's a great thing to use with younger children, who have a harder time understanding timelines. It's also excellent for older children (and adults!). Originally, I thought this was something Miss Mason used only with younger children, but as I was looking at PNEU programmes to see what books she used with her students, I found that students my girls' ages (approximately 8th & 9th grades) were instructed to use century charts as well. 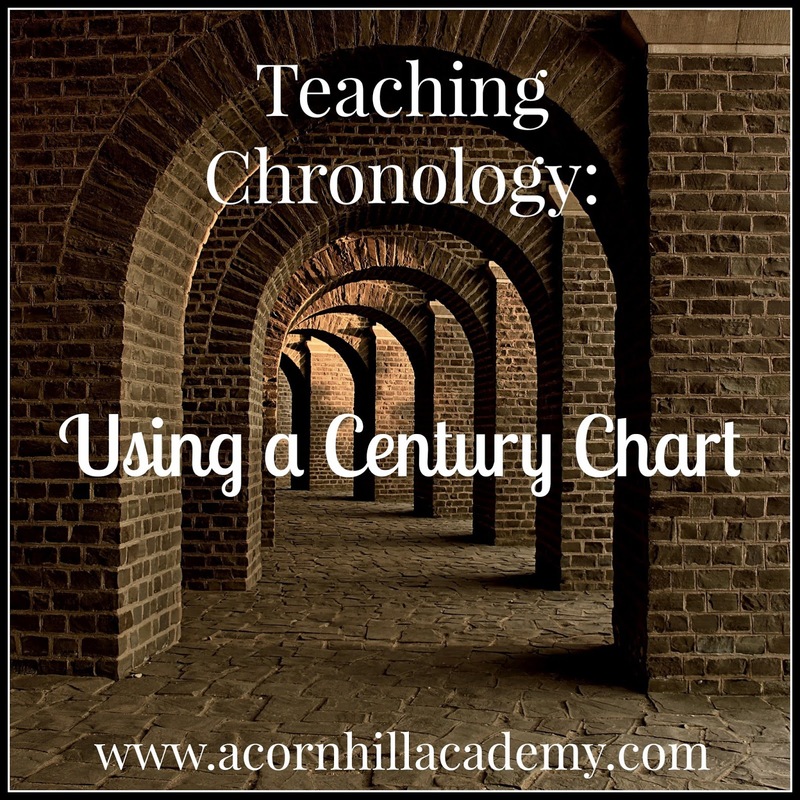 If you're interested in learning more about century charts, here is an interesting article with scanned images of a century chart. I did notice that this chart used little pictures instead of filling in with words. I have a little gift for you! 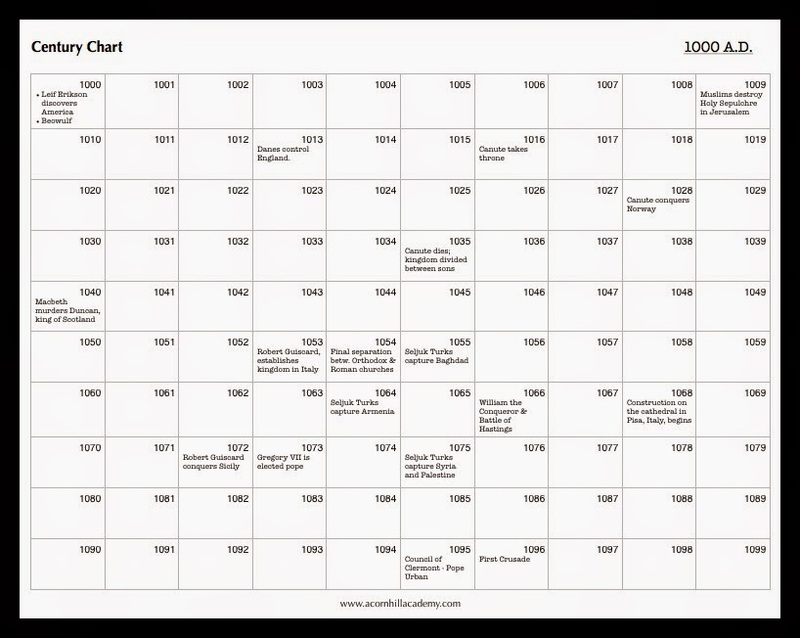 If you would like a printable century chart to use, please feel free CLICK HERE and download mine. It's a PDF file, and you will download it from Google Drive. I hope you find it useful! 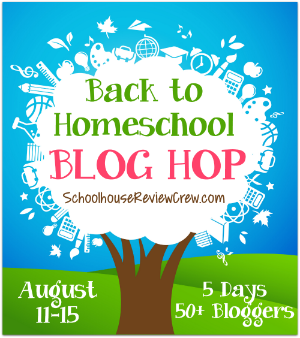 There are lots of folks sharing on all kinds of topics through the Back to Homeschool Blog Hop this week! Here are a few links to some friend's blogs. Be sure to click over to the main page and see what everyone is doing. that's a really neat idea! I haven't seen this kind of century chart before. I know you! This looks like a great idea!